2.3M pixels HD CMOS sensorpowers the VCC18 HD PTZ, delivering HD images up to 1080p@30 fps. 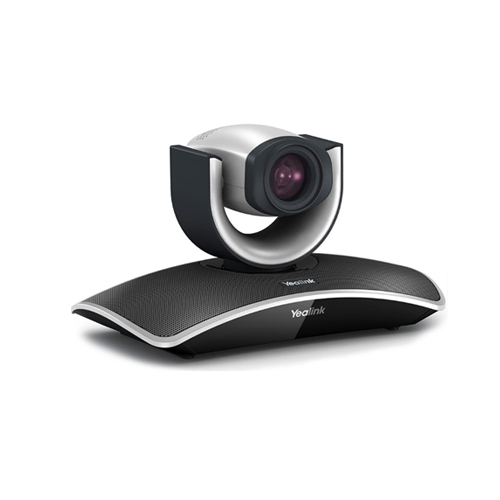 It features afast, stable AF and wide angle lens with up to 18X optical zoom, maintaining high-qualityimages at a distance which is more suitable for a medium-sized meeting room.With smooth, quiet PTZ handling, Yealink VCC18 ensures that everyone’s eyes arefocused on the purpose of the meeting. When paired with a Yealink VC120-18x ora Yealink VC400, it delivers the ultimate communication experience with simplifyusability and excellent image quality.